Don’t just dream…have a little fun this summer! 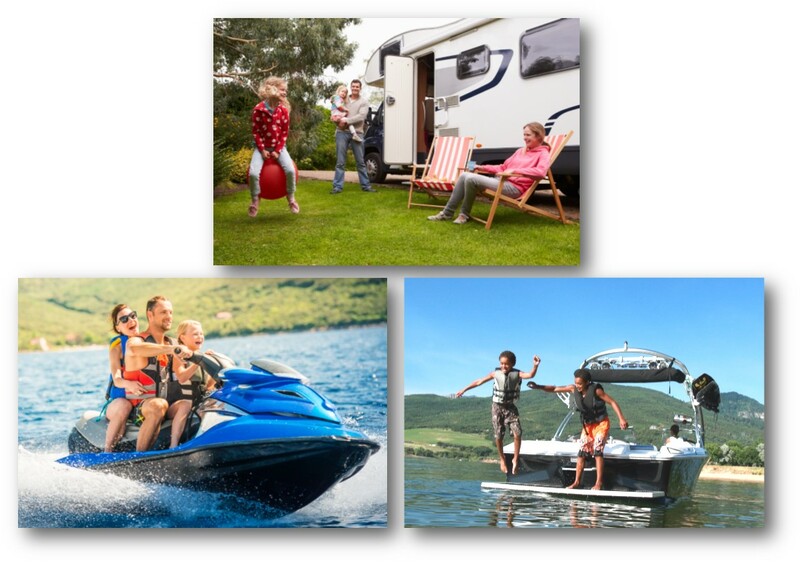 Whether your dream is a new boat, RV, travel trailer, jet ski, or ATV, we can make it happen. Payment Example: On an 84 month Miscellaneous Secured Loan (with Auto-pay), $30,000 purchase price at 7.74%, your monthly P&I payment would be approximately $463.71. 1) APR = Annual Percentage Rate. Rates are effective as of the date shown and are subject to change without notice. The Annual Percentage Rate includes a 0.25% rate discount with Auto-Pay from a 360 Federal Credit Union Account. If the Auto-Pay is not set-up or removed from the account your rate will increase by 0.25%. Rates listed are based on our credit grade “A”. Your actual rate may differ depending on your individual credit score and term. 2) Term for loans greater than $25,000. Loans are subject to credit approval. Membership eligibility required. Ask for details.